Home / Other Political News, Politics / UHURU bans all Cabinet Secretaries from attending political rallies – Is he becoming another OMAR al – BASHIR? UHURU bans all Cabinet Secretaries from attending political rallies – Is he becoming another OMAR al – BASHIR? 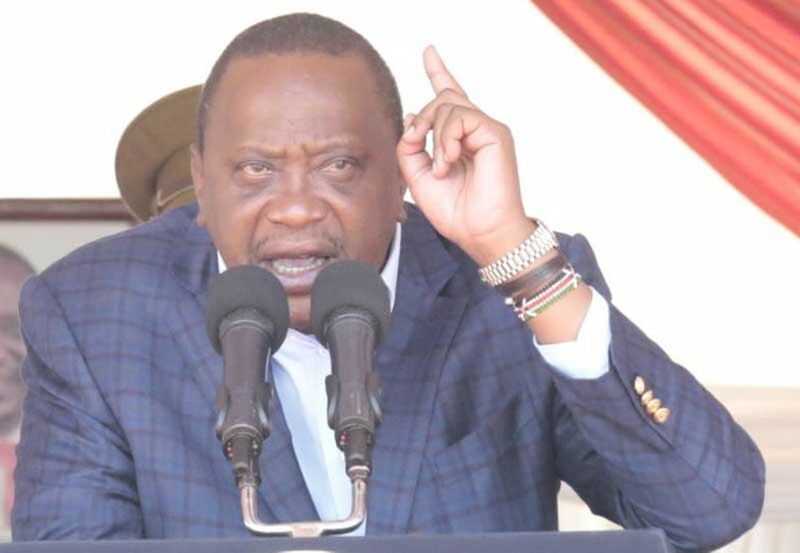 Saturday April 13, 2019-President Uhuru Kenyatta has reportedly banned all Cabinet secretaries from attending weekend political rallies. In a circular issued on Thursday, Uhuru directed all Cabinet Secretaries to instead go to their home counties and lead registration of the National Integrated Identity Management System (NIIMS) from Monday, April 15. The move has been seen as a thinly-veiled attack on CSs who accompany Deputy President William Ruto to activities during weekends across the country. Ruto is known to attend various activities accompanied by politicians. Last Sunday, Agriculture CS Mwangi Kiunjuri accompanied the DP to a church function in Nairobi West. During the function, Kiunjuri used his parable trademark to comment on the political situation in the country. "You are a man of God and all will be good for you,” Kiunjuri said in reference to the DP. Sources said President Uhuru Kenyatta is not happy with politicians who have defied his orders to stop weekend politicking. On Friday evening Uhuru ordered the withdrawal of security of Kiambu Governor, Ferdinand Waititu and of MPs Kimani Ichungwa (Kikuyu) and Alice Wahome (Kandara) for reportedly campaigning for Ruto’s presidential bid in 2022.